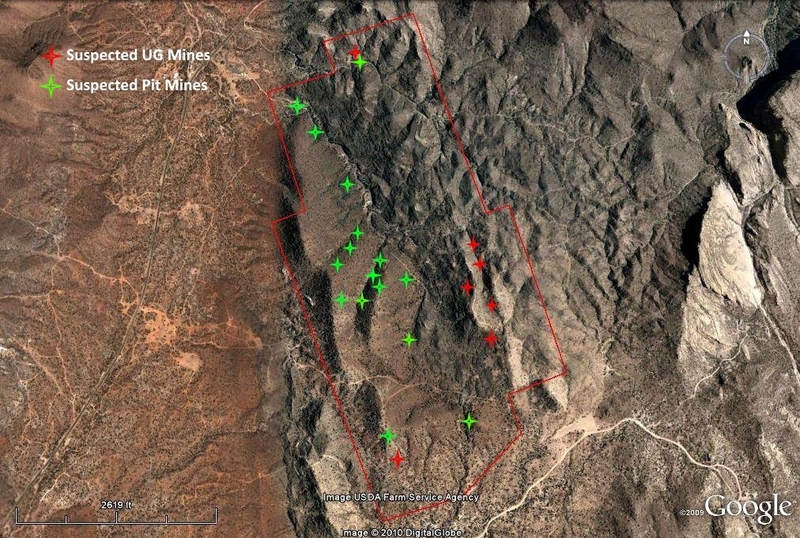 Many maps have surfaced that indicate the location of the mines and the “missing” Mining District. There was a surface pit phase and an underground phase in the District. 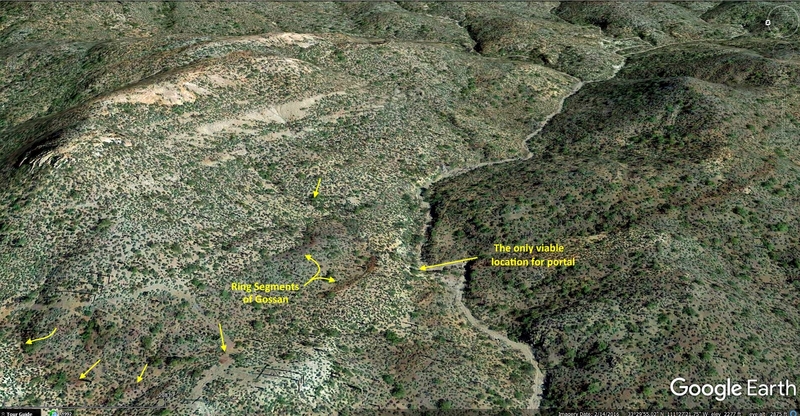 The arguable “Holy Grail” of maps for Lost Dutchman or Peralta Mines searchers is the “Peralta-Fish” map. 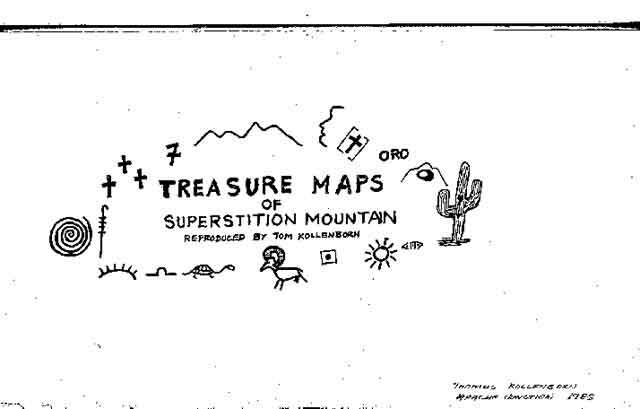 A photo of one version of this map is shown in Dr. Glover’s excellent book, “Treasure Tales of the Superstitions”. Linda Peralta is cited as the origin of the map. At first appearance, this must be the purest version in existence. • The Kollenborn version does not say “Eduardo” above “Manuel Peralta” like the Linda Peralta version. It says “Estiado”. This is not a complete Spanish word. However, there is a Spanish word “Estimado” meaning “esteemed”; It appears the letter “m” is missing by mistake . Because of the location of the word, “Estimado” should probably be the original word instead of “Eduardo”. • The date on the Linda Peralta version is 1848, and the date on the Kollenborn version is 1846. • The concentric circles of dots shown on the Kollenborn version near the Salt River have devolved into a random patch of X’s and dots on the Linda Peralta version. It would seem logical that the circles would devolve by copying instead of vice-versa. • The concentric circles shown on the Kollenborn version are further away from the Salt River than the same area on the Linda Peralta version. On the Linda Peralta version it appears that a placer? is indicated, and it will be shown that this is not the case. • The large dark triangle(arrow?) on the Kollenborn version is tiny and almost unrecognizable on the Linda Peralta version. 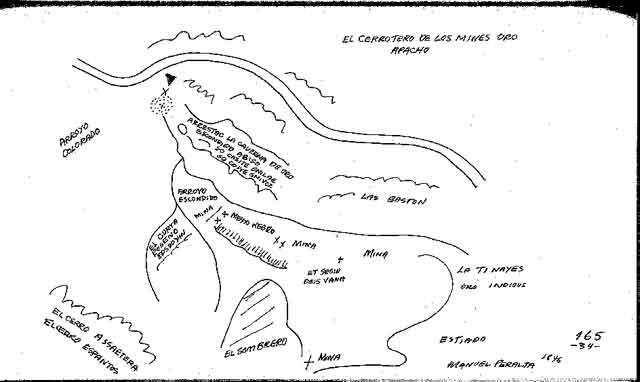 The style of the Spanish maps (Burbridge, Peralta-Fish, Stone maps) is confusing at first because the outlying features, be it “El Sombrero”, Superstition Mountain, the Salt River, camps, etc., are brought in close to the smaller-scaled, “zoomed” area of the mines. This clever method is used so that a second, smaller-scale map is not necessary. 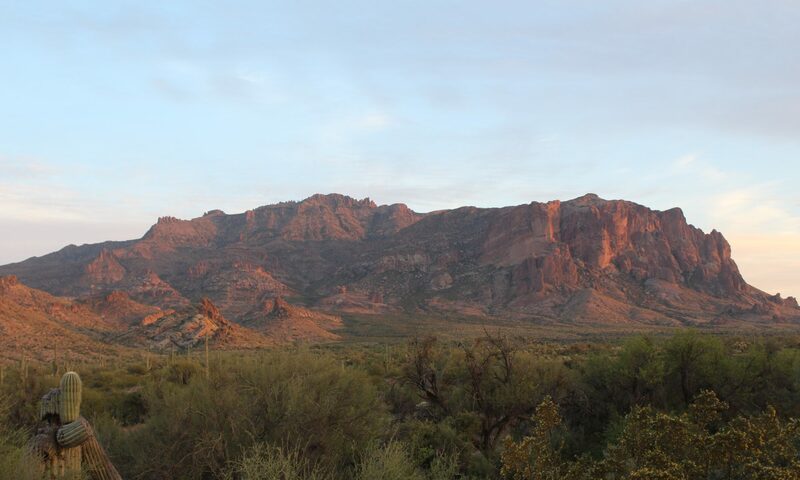 The Peralta-Fish map is depicting the mines generally located between the Salt River, Superstition Mountain, and El Sombrero. Here is another even closer photo of a ring (there is El Sombrero again in the background). 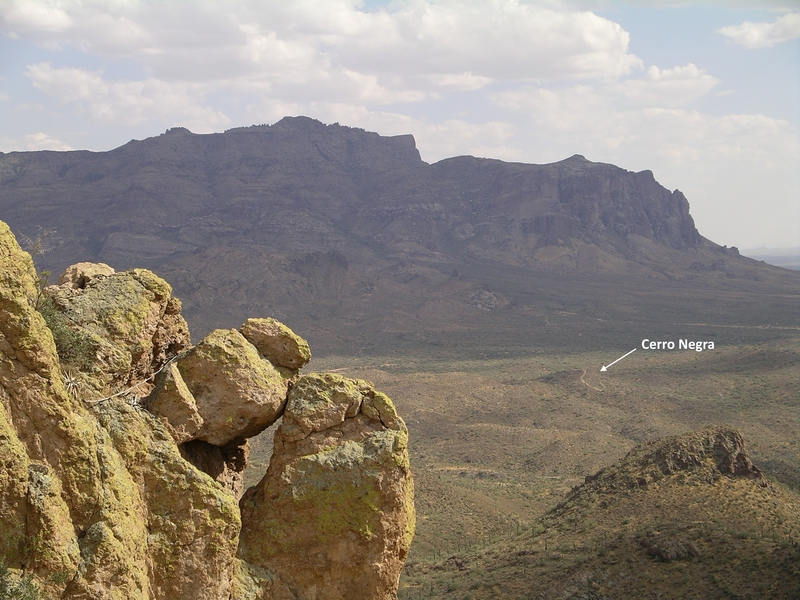 Note: Weavers Needle looks like a sombrero in a very narrow, short area. In summary, there is little doubt that there were indeed 2 mining areas, the southern and northern, like the stories that have been passed down. The Peralta Fish map matches the location of the Google Earth diatreme and the gossan rings exactly. The northern group would have processed their ore at Government Well where there was abundant, shallow ground water. 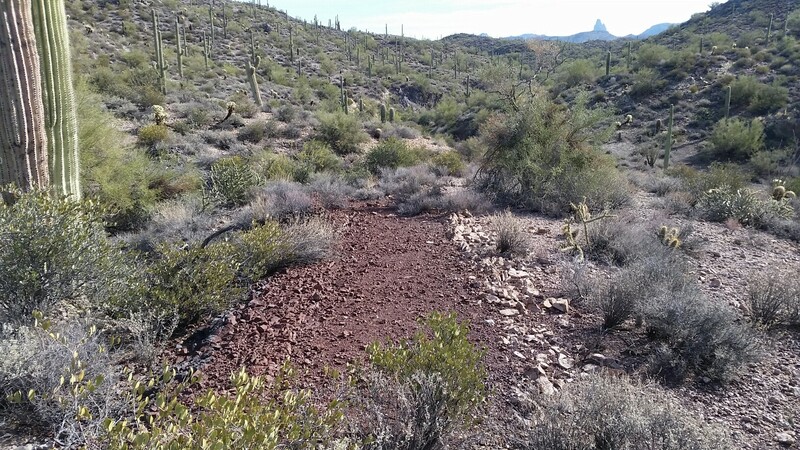 The southern group would have used First Water canyon where there was often flowing water much of the year, they had a dam, and there was abundant ground water also. 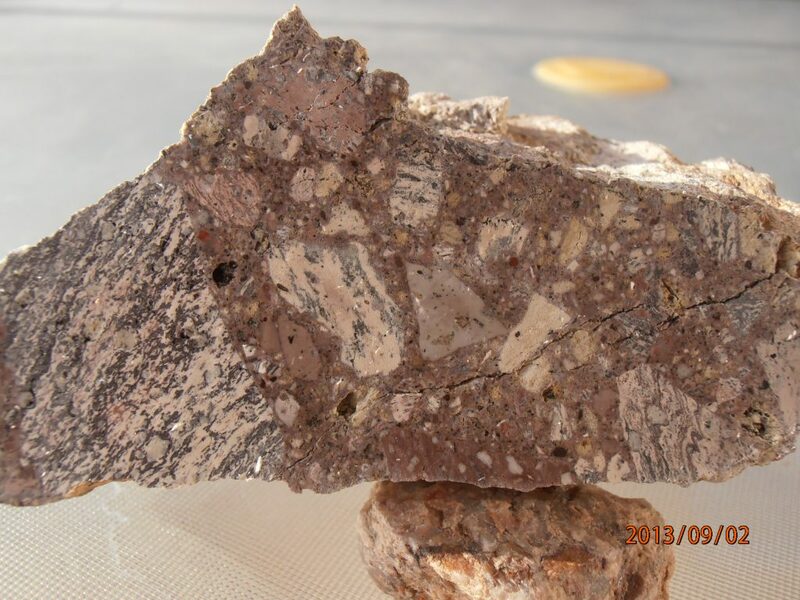 Note: the gossan rings also assayed high in Lithium. 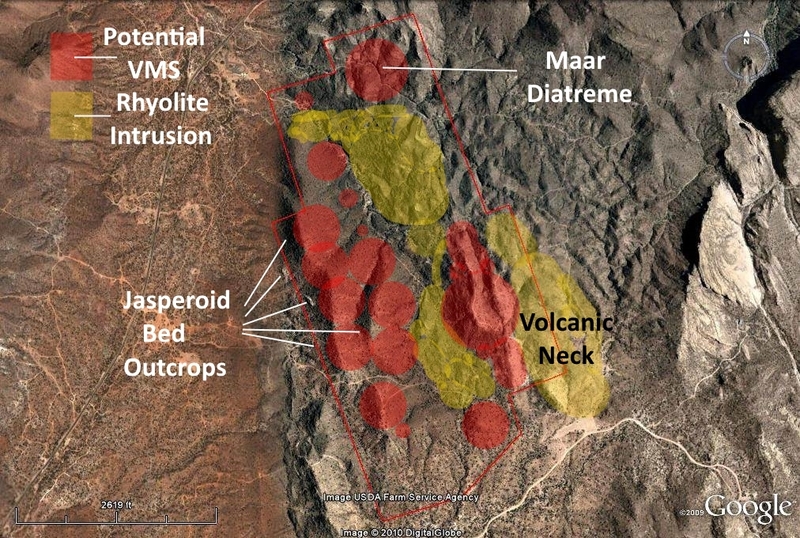 Below can be seen the location of the suspected pit mine and underground mine that were located at the diatreme. 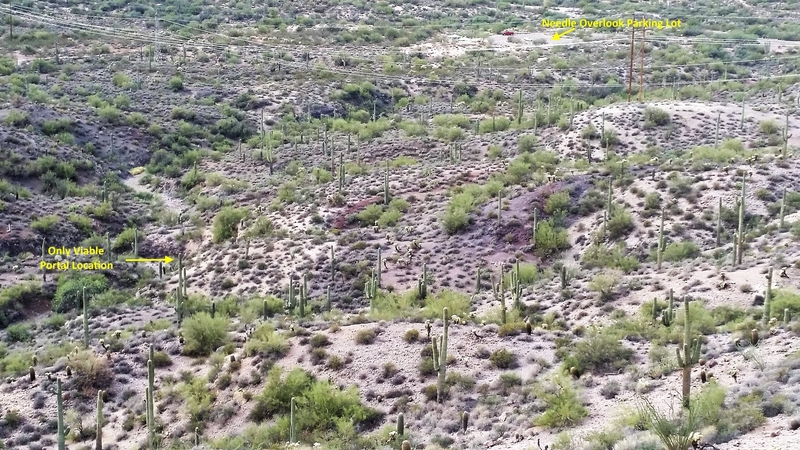 The pit mine is located in the wash and the underground mine is suspected to be accessed from a portal located on the north side of the wash.